RIDGELAND, Miss., Oct. 19, 2005 — Tyson Foods, Inc. recently donated $65,000 to Ducks Unlimited (DU) to support the Lower Obion River Project in western Tennessee. The gift will be used to offset costs associated with restoring 312 acres of bottomland hardwood wetlands. "This project will make a real difference for waterfowl and other wildlife in western Tennessee, and we're thrilled to have the support of Tyson Foods," said DU's Director of Conservation Programs for Tennessee, Chris Cole. "We truly appreciates Tyson Foods' generous gift and we congratulate the entire company on its commitment to conserve habitat and restore our natural environment." The Lower Obion River Basin is an important area for wintering waterfowl, such as mallards, gadwall, wood ducks and many other bird species migrating in the Mississippi Flyway. Ducks Unlimited, along with the Tennessee Wildlife Resources Agency, the Tennessee Wildlife Resources Foundation and the Tennessee Parks and Greenways Foundation have partnered in this North American Wetlands Conservation Act grant to protect and restore wetland habitats in western Tennessee. Once grant projects are completed, more than 5,800 acres of wetlands will be available for use by wildlife, hunters and other outdoor enthusiasts. "Tyson Foods is proud to support Ducks Unlimited's wetlands conservation and restoration work in the Lower Obion River Basin," said Kevin Willis, complex environmental manager. "Tyson Foods' core values state that we serve as stewards of the animals, land and environment entrusted to us. This project provides us with an opportunity to demonstrate our commitment to those core values. We look forward to working with DU on this project and on future efforts that benefit our environment, wildlife and the people in our community." With more than a million supporters, Ducks Unlimited is the world's largest and most effective wetland and waterfowl conservation organization. The United States alone has lost more than half of its original wetlands - nature's most productive ecosystem - and continues to lose more than 100,000 wetland acres each year. 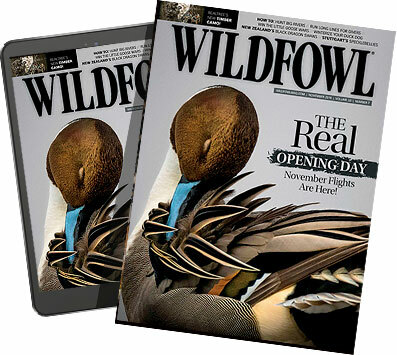 Look for Ducks Unlimited on the World Wide Web at www.ducks.org. Tune into The World of Ducks Unlimited Radio Network and watch Ducks Unlimited Television on the Outdoor Life Network (OLN). Visit the Tyson Cares webpage at www.tysonfoodsinc.com.